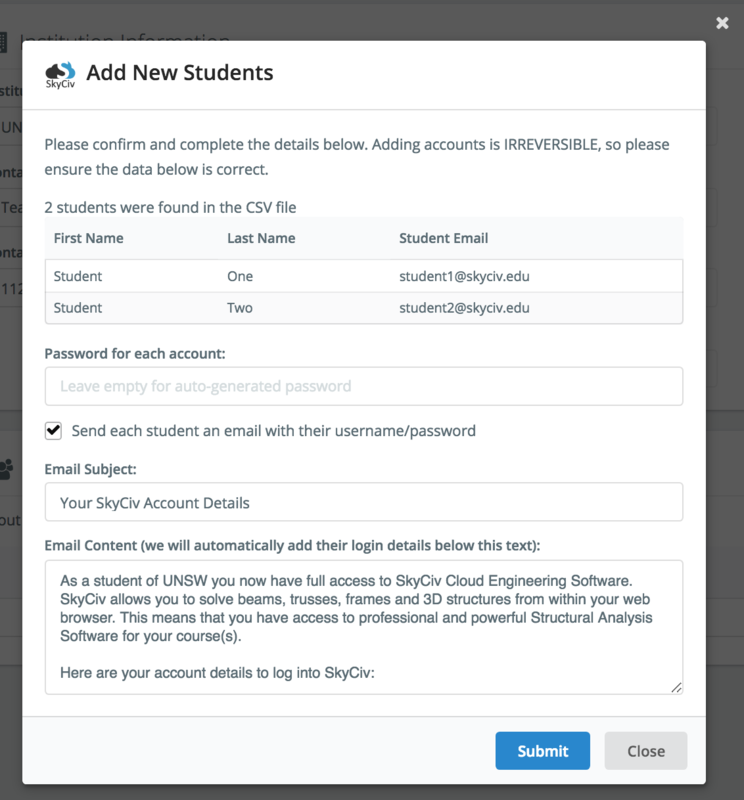 SkyCiv is 100% web-based, so users can access the software instantly without having to download or install anything. There is no need for licence keys or lengthy registration processes to get access. 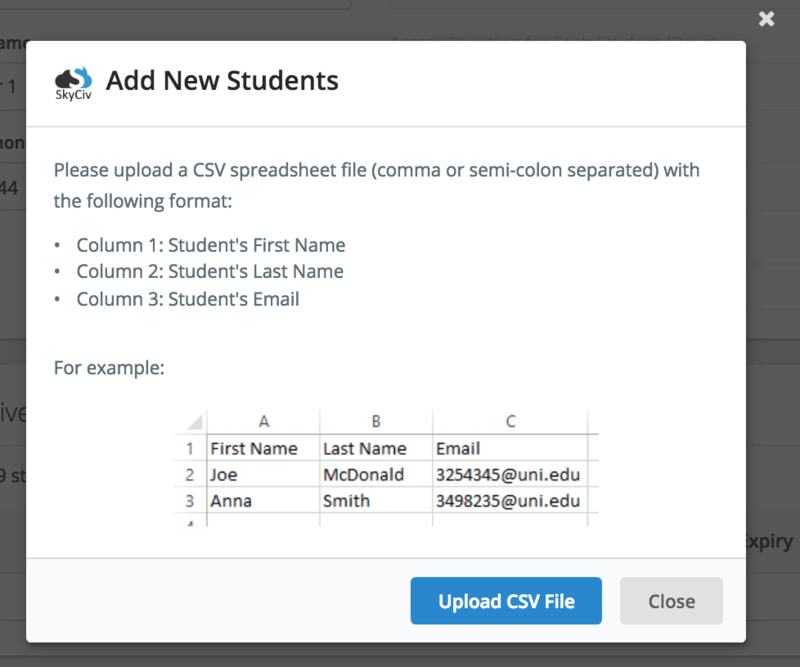 Today we will look at how to upload a CSV of your students through the Educational Portal of your Education Account. 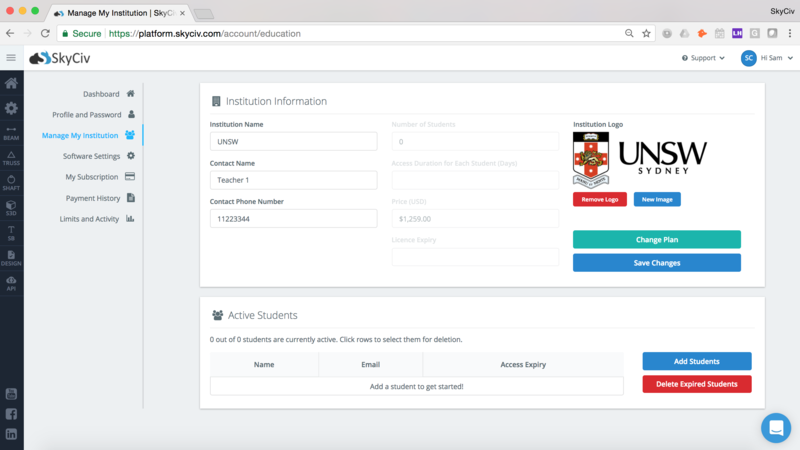 To get started, simply log in to your education account. Don’t have an account? Contact us to learn more about how you can get a free trial for your class for a semester. Note: if the CSV is not uploading correctly, check that it is being exported as comma or semi colon separated. i.e. each column should be separated by a “,” or “;”. It is also fine to leave blank, but it will issue them a individual random-generated passwords.